New 2019 Volkswagen Jetta 1.4T S with 6-speed manual transmission (STOCK# VW6795, VIN 3VWN57BU1KM013577, MSRP $19,715) $149 per month lease for 39 months. 7,500 miles/year. $2500 cash/trade down + $0 security deposit + $0 first payment + $220 doc & title prep + $695 bank acquisition fee = $3415 total due at delivery. Sales tax, title and registration fees additional. Lease end buy option $10,843. All incentives to dealer, cannot be combined with other offers. Finance and lease offers available to well-qualified buyers with Top Tier credit, not all will qualify. Offer ends 4/30/2019. New 2019 Volkswagen Passat 2.0T Wolfsburg with automatic transmission (STOCK# VW7108, VIN 1VWLA7A35KC001882) $249 per month lease for 39 months. 7,500 miles/year. $2499 cash/trade down + $0 security deposit + $0 first payment + $220 doc & title prep + $695 bank acquisition fee = $3314 total due at delivery. Sales tax, title and registration fees additional. Lease end buy option $13,480. MSRP $27,510. All incentives to dealer, cannot be combined with other offers. Finance and lease offers available to well-qualified buyers with Top Tier credit, not all will qualify. Offer ends 4/30/2019. 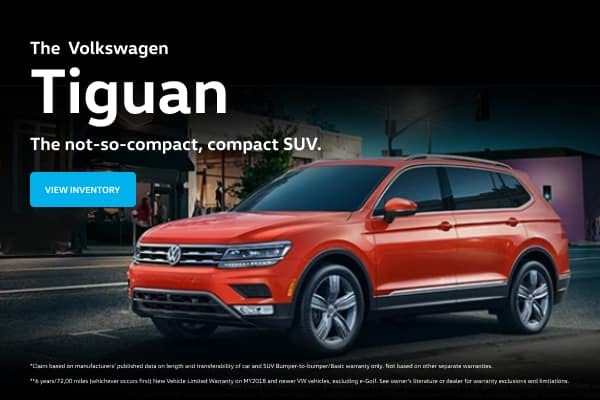 New 2019 Volkswagen Tiguan 2.0T SE with 4MOTION AWD (STOCK# VW7167, VIN 3VV2B7AX2KM040850) $239 per month lease for 39 months. 7,500 miles/year. $2999 cash/trade down + $0 security deposit + $0 first payment + $220 doc & title prep + $695 bank acquisition fee = $3814 total due at delivery. Sales tax, title and registration fees additional. Lease end buy option $16,679. MSRP $29,784. All incentives to dealer, cannot be combined with other offers. Finance and lease offers available to well-qualified buyers with Top Tier credit, not all will qualify. Offer ends 4/30/2019. 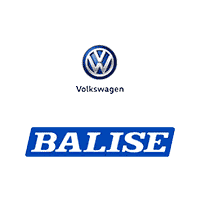 Find your next new Volkswagen at Balise. Browse our extensive inventory of used and Volkswagen Certified vehicles. Check out our current new Volkswagen specials. Conveniently schedule your next service at Balise Volkswagen. Find money-saving offers on VW service. Find out how much your current vehicle is worth.